IFT was appointed by the projects Principal Contractor, McLaughlin & Harvey, to carry out extensive repairs and refurbishment at the Glasgow Whisky Experience. 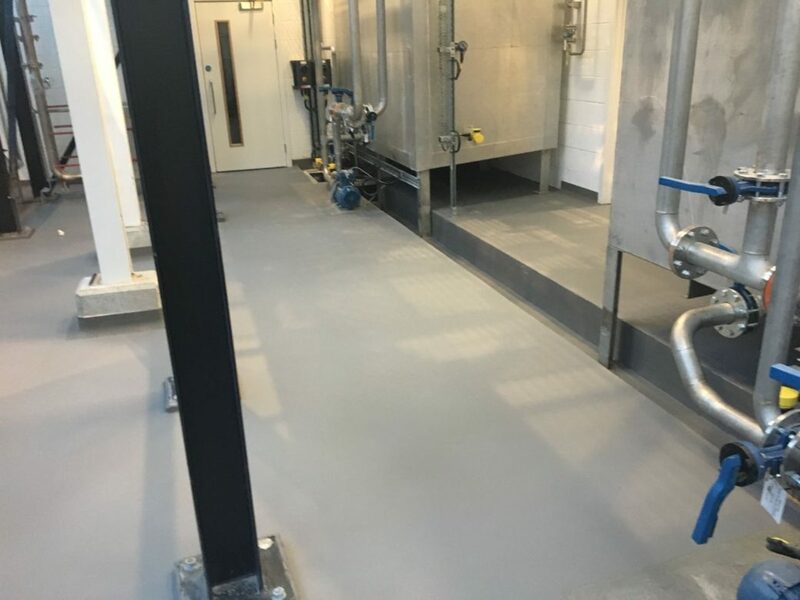 IFT successfully installed approx 240sqm of polyurethane flooring finishes, including lining of channels and sumps, along with sand/cement screed to various areas of the historic building. 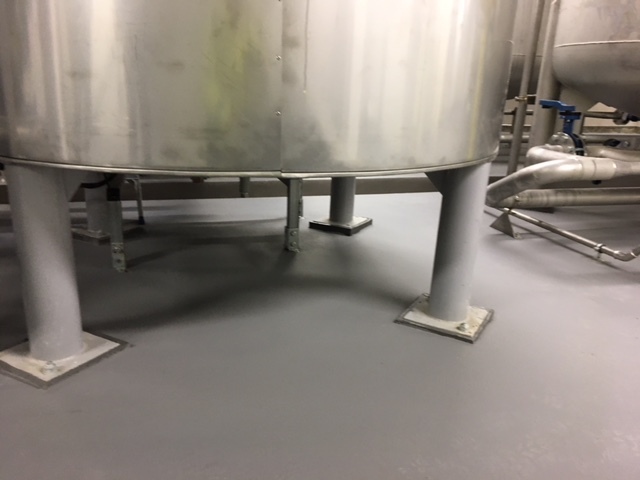 This provided the client with a heavy duty, hard wearing floor finish with exceptional chemical resistance, textured surface and decorative fleck. The project to transform The Pump House into an operational whisky distillery began in 2012. 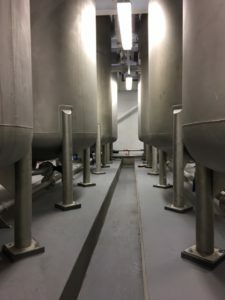 Production at the £10.5m complex housed in the converted former dock Pump House started last month and the Clydeside Distillery is now open to the public. 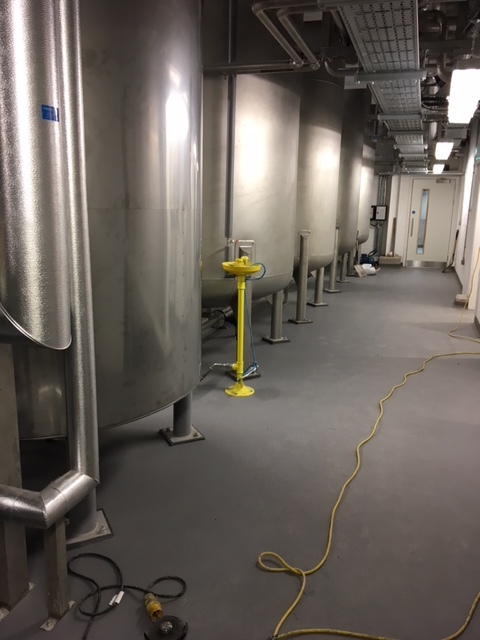 Following completion of the resin works within the newly constructed Clydeside Distillery, I would like to thank you for your team’s performance on this project. 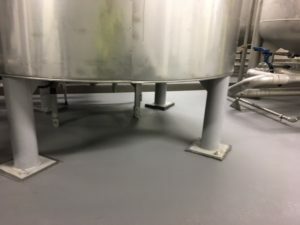 Conscious of maintaining a quality finish, the resin application was carried out after all process plant and equipment, including pipework was installed. 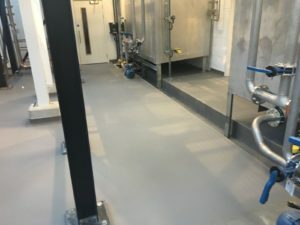 This involved restricted access, however, IFT developed a positive attitude towards this and the quality if the finish was well received by both the client and MCLH. I would have no hesitation in using IFT on future projects.